Your mind is the car that drives your life. For you to move in the direction you desire in life, you have to develop the habit of constantly refilling your Mind Tank through the use of positive thoughts, affirmations, knowledge and actions that will ensure your Mind Tank remain on an adequate gauge level. Like when you use your car to move around, you burn fuel in the process which brings the need to refuel, so it is also with the mind. As we journey through life, we come in contact with happy moments, sad moments, challenges and opportunities. Regardless of what you come in contact with, you have to keep refueling your mind with positivity to allow you have enough juice to keep moving without being distracted. Without refueling your Mind Tank you risk allowing your mind become empty with no fuel to power it. This will only l make situations overwhelm you instead of you taking charge. Your mind is the most important part of your existence because it is the engine that drives your entire being. Thus it is important you give it attention and begin to fuel your mind with the right thoughts, energy and actions which will keep you energized enough to go through life knowing you have all it takes to succeed. Remember the journey to success is not a smooth ride, but it is a worthy journey to undertake because in the end the destination is always fruitful for those who are passionate enough to give it their best and all. Follow your passions and the money will follow you, chase excellence and creating value and success will follow you. Your mind is all you need. Read inspiring articles, books and materials to keep your mind energized with knowledge. Learning is a continuous process and never forget practice makes perfect and Knowledge is Power. 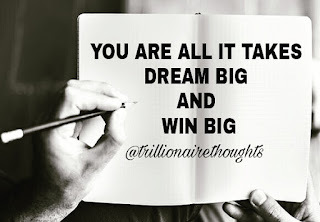 For you to go all the way and achieve success you have to be willingly to be consistent and follow through on a persistent basis with actions and the mindset to conquer all that comes your way be it opportunities or challenges till you reach you desired destination. Always keep your Mind Tank filled with adequate fuel (organized knowledge) to propel you towards your destination. Remember when you are tired learn to rest and refuel your mind and never give up because there is an infinite amount of mind fuel which you can have access to.